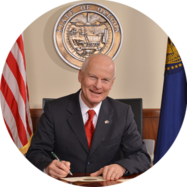 SALEM, OR — Today, Secretary of State Dennis Richardson announced that Election Director Steve Trout will hold a Q&A conference call with members of the Oregon media on Tuesday, October 30 at 2:00pm. The call will focus on elections security for the upcoming November General Election. RSVP to Deb Royal, and she will provide further information.